Lambeth’s schools have made huge strides in recent years, with major improvements meaning that now over 96% of our secondary schools, and 90% of our primary schools, rated good or outstanding. This puts us in the top 10% of all boroughs nationally and is testament to strong local leadership, the dedication of teachers and the involvement of parents, together with significant investment from the last Labour government. However, the Conservative Government’s education policies in recent years have sought to undermine schools that are linked to the local council and rooted in their local communities. Just over two years ago the Conservative Government was forced to drop its plans to make 17,000 schools in England become academies, after huge opposition from parents, teachers, school leaders and councils of all political makeups across the country. Trade unions and school professionals warned of the lack of evidence that academisation alone brought about the improvements in school standards the Tories were suggesting would occur -; whilst parents were rightly sceptical that a top-down reorganisation of the school system would deliver additional funding to provide more teachers and better school facilities for their children. Determined to force schools into a corner where turning to the big academy chains for help was their only option, the Government subsequently decided to continue with cuts to the schools budget -; including a massive £24 million funding cut suggested for Lambeth’s schools. 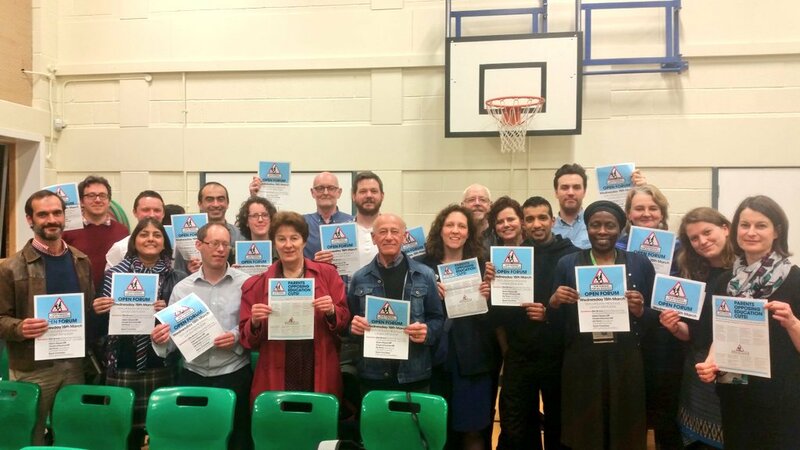 The parent-led ‘Fair Funding for Schools’ campaign against these cuts brought together parents, teachers, politicians and local residents to fight the Government – including thousands of us here in Lambeth. Last year the Government was again forced to backtrack and they reduced the size of the proposed cuts -; but this was a temporary reprieve done by shifting money from other parts of the national education budget and Lambeth’s schools still face a cut of around £14 million by 2019/20. Lambeth Labour stands with local parents, teachers and trade unions – we oppose Tory plans for ‘free schools’, new grammar schools and the forced academisation of local community schools against the wishes of parents and teachers -; including via the backdoor by using funding cuts to put schools in a financially precarious position. Labour is proud of our schools and their role in community and we established the Lambeth Schools Partnership in response to the fragmentation of community education from the Conservative academy agenda. The way the academy system is set up means academies are publicly funded, but all too often they have little accountability to the community from where their pupils come and while the Government plays games on school funding, they can divert limited financial resources away from community schools. Some academies have undoubtedly done well -; with support from local parents and pupils getting a good education and opportunity in life. However, this isn’t always the case and the academisation process often puts at risk best practice such as guaranteed planning, preparation and assessment (PPA) developed in negotiation between teachers and trade unions; means schools spend large amounts of money on external consultants to manage the transfer of land and buildings; and sees decisions on things such as maternity entitlements or teacher pay taken out of national or local agreements and handed to unaccountable academy boards. This has resulted, for example, in well publicised cases of excessive academy head teacher/chief executive pay that some have sought to use to divide communities for political gain – blaming local councils for the decision despite the autonomy given to academies by the Government. Like when we opposed Tory funding cuts -; Lambeth Labour will oppose the Government changing the rules to require local schools to become academies. We will also continue working together with schools and parents through the Lambeth Schools Partnership and look at what more we can do to keep local schools part of the local community rather than remote academy chains. If the Government is determined to punish local schools and push them into becoming part of big academy chains, making them more remote from the local community in the process, then until we get a Labour government, then we have to look at using those same rules to set up our own parent and teacher-led local model. This is the best way to keep our schools at the heart of the local community, to maintain a Lambeth where young people thrive and to support teaching staff in giving our young people the education they deserve.